Homeport participated in the Ohio Capital Corporation for Housing (OCCH) annual Partnership Celebration program on May 17 at the Greater Columbus Convention Center. 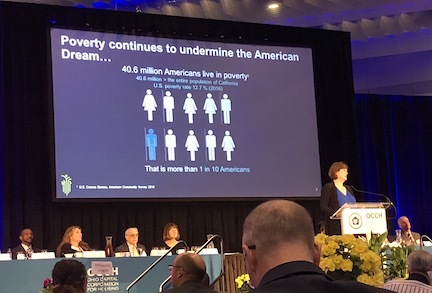 Event keynote speaker Carol Naughton, president of Purpose Built Communities, noted that 40.6 million Americans live in poverty. Participants also watched a special OCCH video, "What Does Home Mean to You," that spoke to the importance of affordable housing in Ohio.